I am a big fan of Daniel Amen’s books, I became one while I was mercury toxic. I was struggling at the time with mood and brain problems that I’m sure will resonate with some of my readers: I was in a perpetually grim and negative mood, and felt like my thoughts were a record with a skipping needle. I would have a fragment of a thought that always got to the same point, and then jumped back to the start again. The approach Amen takes in his books was exactly what I needed to hear to make a change. For one, he doesn’t lump everyone into a one-size-fits-all category. His books are all about finding out which part of your brain needs help and implementing solutions that target that specific area or neurotransmitter. This is a much more nuanced approach than the traditional medical hit-everyone-with-SSRIs-and-see-who-gets-better plan. The second thing I really like about Amen’s books is that for every problem area he identifies, he not only suggests prescription medications that help, he also lists a number of other interventions that really make a difference. The problem area in my brain was the Anterior Cingulate Gyrus. It turned out that my OCD-type symptoms were actually the kind that respond to SSRIs, but I’ve always been the kind of gal who’ll try a supplement before resorting to prescription medication. So while I was chelating, I took one of Amen’s supplement suggestions: Inositol, a supplement that is related to the B family of vitamins, and increases your serotonin levels. It worked beautifully. My brain was no longer a hamster wheel, and I became more of a go-with-the-flow kind of person, the first word out of my mouth was no longer an automatic ‘No’. My girlfriend said that I became a much easier person to get along with. And my sleep improved greatly too, which was a nice side effect. After chelation ended, I didn’t need to take inositol anymore, just so long as I stuck to Amen’s dietary recommendation for my type: Lots and lots of carbs! No problem! This inositol and high carb solution worked great for me because of my particular brain issues. Obviously it’s not the approach for everyone, and would be the opposite of what someone needed if their brain issue happened to be ADD. If you’re curious to learn which parts of your brain may need help, each of Amen’s books contains a quiz to help you identify your brain type. If you have ADD symptoms, I’d recommend starting with Healing ADD, an excellent book that sorts through six different kinds of ADD and what you can do to treat them. If you have other brain issues, or you’re not sure exactly what they are, then Change Your Brain, Change Your Life is the classic text. 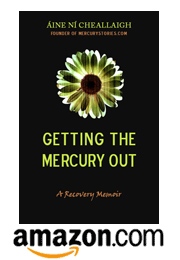 I don’t agree with every word that Amen writes, especially his advice in his latest book to take Alpha Lipoic Acid once a day as an antioxidant–a very bad idea if you’re mercury toxic! But I think he’s one of the best writers out there today talking about brain issues. I’d be very curious to hear what you think of his work, and which of his solutions you’ve tried to relieve your mercury symptoms. Did any of them work?